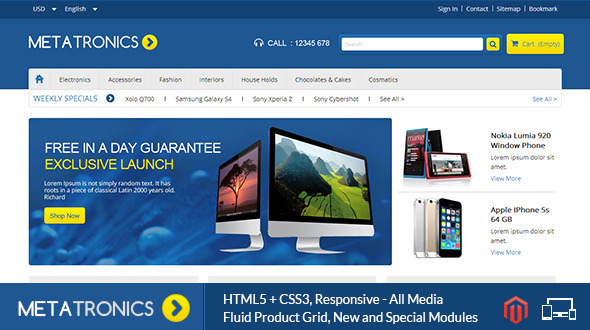 Meta Tronics Magento Theme is specially designed for electronics, mobile, home accessories, computers and match any kind of store. 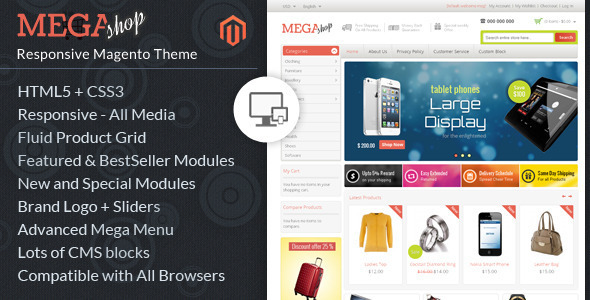 Meta Tronics Magento Theme is looking good with it’s colors combination. All sub pages are customized. It is very nice with its clean and professional look. 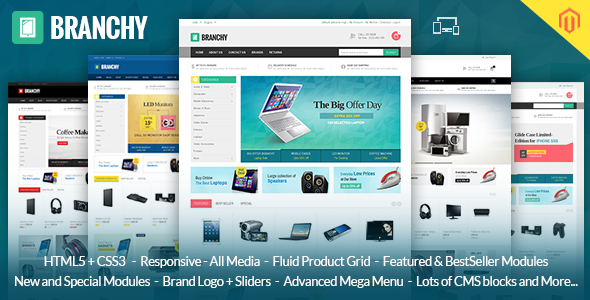 Adjust additional image carousel slider and cloudzoom on product info page. Fixed small bug related to responsive layout , improved theme quality and update documentation.